This is only a pull request discussion, but hints at forthcoming performance improvements for Ruby 3. A ‘deoptimization engine’ would allow MRI to heavily optimize and JIT compile code but then revert optimizations when more advanced Ruby features are used. More discussion on Hacker News. A Sinatra-inspired framework being used in production to run microservices on Heroku. DHH explains where the name ‘Rails’ came from, what software he uses (his editor is TextMate 2), and why he still loves Ruby. Your users want to experience a fast app on each visit. 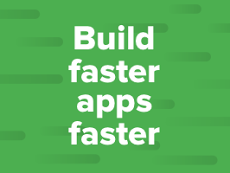 AppSignal helps you inspect and improve the performance of your app, from simply viewing average performance to using our powerful custom metrics platform, and everything in between. Explores the various steps of a Rails request. This covers Rack, the router, your controller code, and the response. A thorough walk through using the Interactor Pattern to reduce the size and responsibility of your controllers. How to add support for internationalization in a Rails app, where to store translations, what localized views are, how to format dates and times, etc. Octoshark is an ActiveRecord connection manager that provides connection switching mechanisms for scenarios involving master-slave, sharding or multi-tenant architecture. Creating and customizing form objects whilst adhering to Rails’ conventions. A comparison of the gem to a standard lib implementation. There are thousands of Ruby gems out there, each one built to solve a specific problem — Sean details his staples. Learn how your application compares to others. Connect with GitHub or BitBucket and we'll build a report for you. More concise than the FactoryGirl approach. If you’re using token authentication, you’ll want to see this gem. A community continued version of ‘protected_attributes’.